Rector’s Award for the Active Development of Civil Society went to Jiří Němec from Faculty of Social Studies. The recipients include a leading judiciary expert, a mountain climber and a sculptor. 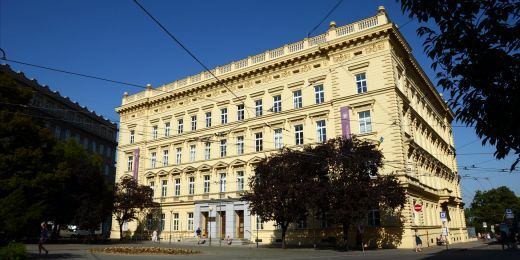 At the beginning of May, Masaryk University Rector Mikuláš Bek gave out awards for outstanding achievements in science and research, sports and the arts to mark the academic holiday Dies Academicus. The recipients include a leading judiciary expert, a mountain climber and a sculptor. 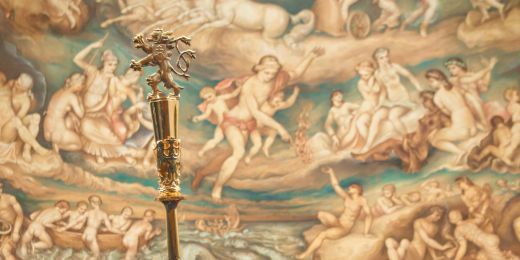 Altogether, 19 researchers, lecturers, and students received the award during a traditional ceremony (see the list at the end of the article). For the second time, the rector has also given an award for the development of civil society. The rector opened the ceremony with a speech on the quality of teaching and creative activity at the university. In his opinion, the amended Higher Education Act is revolutionary, since it makes universities solely responsible for their own quality. He said that critical discussion within the institution will play a key role. “In our understanding of the term, measurements, performance indicators and the statistics of meeting measurable standards are only secondary tools. For us, the main medium of quality assurance is regular, institutionalized, and documented critical discussion among all stakeholders on how to teach and do research better,” says Bek. After Bek’s opening speech and the following speech by Stanislav Balík, the chair of the MU Academic Senate, it was time to give out the awards. The Rector’s Award for Outstanding Creative Activity went to David Kosař from the MU Faculty of Law. His work, Perils of Judicial Self-Government in Transitional Societies, which examined the impact that instituting the proposed High Council of the Judiciary might have on strengthening the independence of judges within judicial self-government in the Czech Republic and Slovakia, has attracted much attention within the European legal community. “My work opened a door to the world not only to me, but also to the university. I am glad that it has triggered other studies on the same topic in other European countries,” says Kosař, whose research also pointed out the possible negative effects of the High Council of the Judiciary. Rector’s Award for Outstanding Creative Activity went to David Kosař from Faculty of Law. Also among the award winners was mountain climber Adam Ondra. Due to his absence, his mother came to receive the award in his stead. Ondra, who is a graduate of the Faculty of Economics and Administration, has long ranked among the best world mountain climbers when measured by technical difficulty. He achieved international fame last year, when he climbed the Down Wall in the Yosemite National Park, the most difficult natural climbing wall in the world, and broke the record dating from 2015. 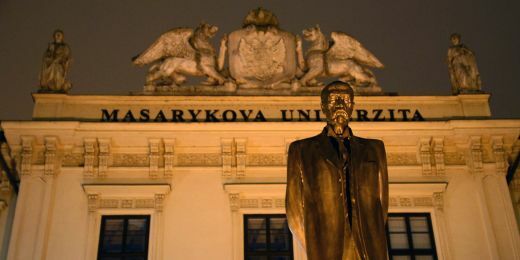 Sculptor Jiří Sobotka from the MU Faculty of Education was also among those awarded: he received the Rector’s Award for Outstanding Artistic Activity. His work dedicated to the poet Jan Skácel was unveiled in 2016 on the slope below the Špilberk castle in Brno. The larger-than-life sculpture of the poet’s head is made of an unusual material – metal pipes, which copy the poet’s facial features and create an interesting 3D effect. Rector’s Award for Outstanding Artistic Activity went to Jiří Sobotka from Faculty of Education. The Rector’s Award for Extraordinary International Grant Competition Results was given to the neurologist Irena Rektorová. Thanks to the support of the European programme Horizon 2020, her team will be able to study neurocognitive processes related to reading, writing, speech and processing visual signals, especially in patients with degenerative brain diseases. The research outputs should allow for earlier diagnosis as well as better therapy. Rector’s Award for Extraordinary International Grant Competition Results went to Irena Rektorová from CEITEC MU. The Rector’s Award for the Active Development of Civil Society was given to Jiří Němec from the MU Faculty of Social Studies, who was surprised to receive it. “I didn’t think that a project like this could win a university award,” says Němec. He is one of the founders of a project called Albanian Challenge, aimed at halting the depopulation of a mountain village in the Albanian Alps. The volunteers focus mostly on building tourist infrastructure; this will be the main goal of their activities this summer as well. “Our work in Albania will continue,” Němec vows. “This time, we want to restore the tourist signs, which are prone to damage and erosion due to the adverse local weather conditions.” The biggest achievement of the team is the construction of two bridges that make it easier to deliver supplies to the village.